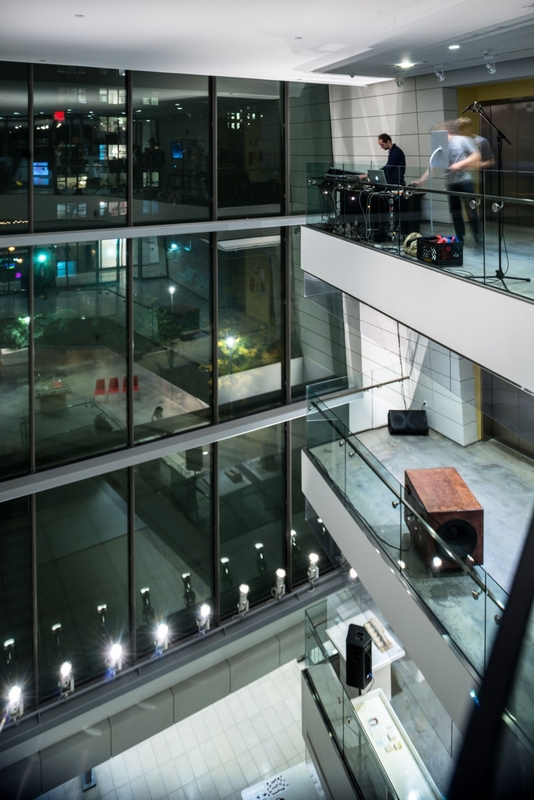 lvl is a hybrid sound performance/installation made specifically for the 4-story Atrium in the Pratt DDA Myrtle Hall as part of the Digital Arts Festival UPLOAD. 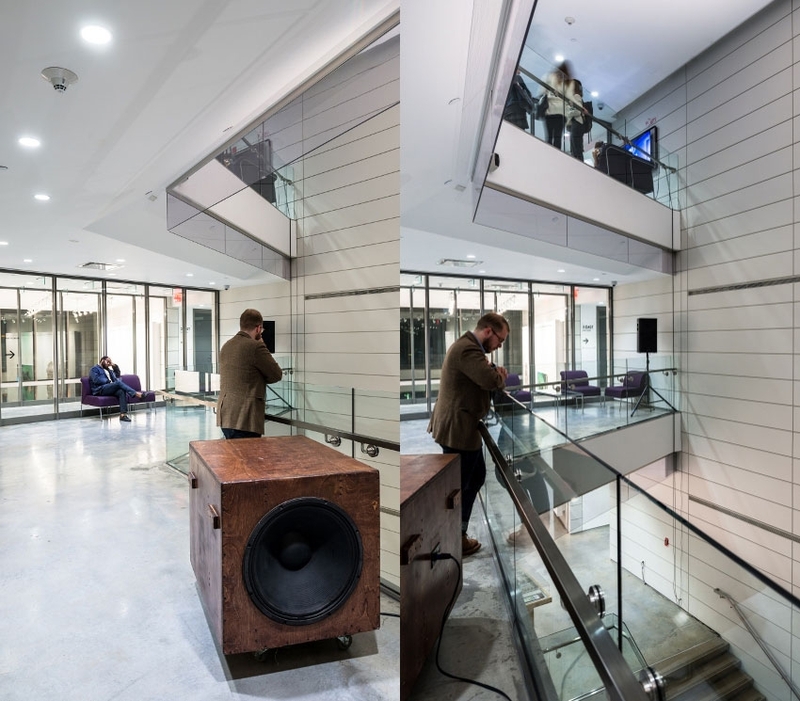 A vertical speaker arrangement is installed which enables Neumann to explore the depth of the Atrium through sound, upwards, loading the space. 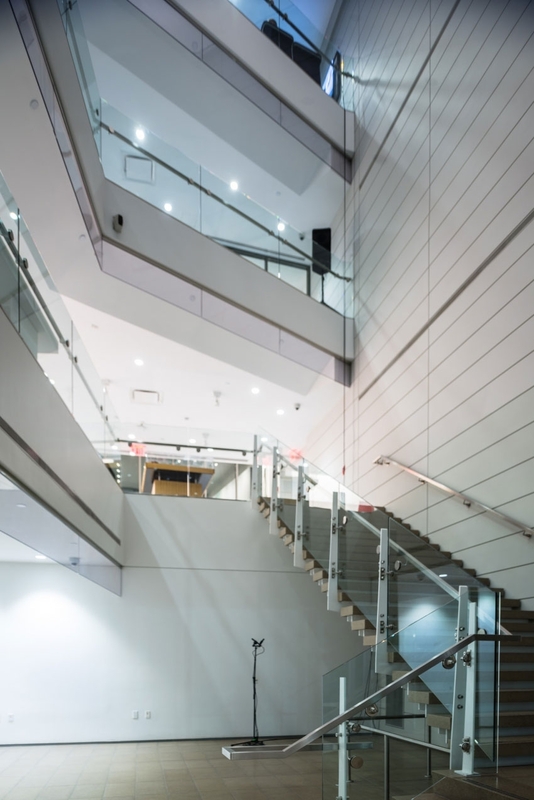 On Oct 18 at 7:30pm there will be a spatial sound performance over the 4 floors to turn the Atrium into a 3-dimensional sound field through which the audience can move and individually find their places. 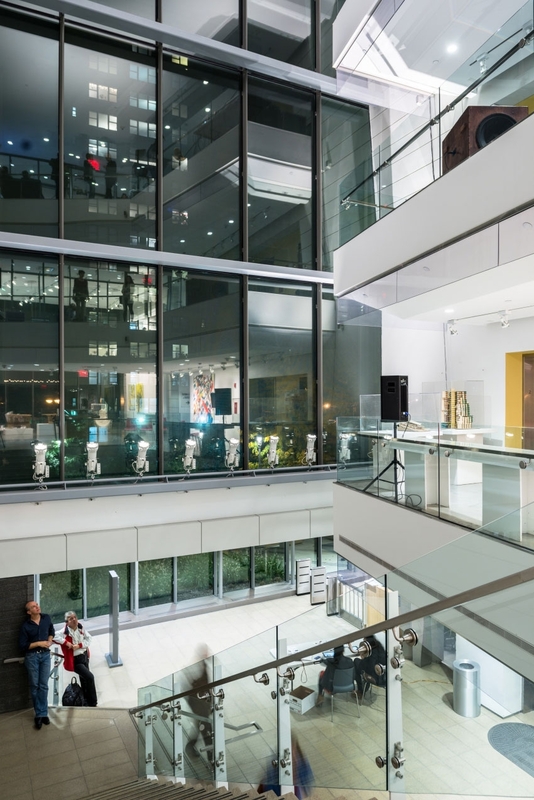 After the performance a 2-channel installation will remain on the 4th floor for the duration of the exhibition.